Evocative of the styles and principles of mid-century design, Raven Executive Arm Chair fits well with both other mid-century styles and the ultra contemporary designs of today. 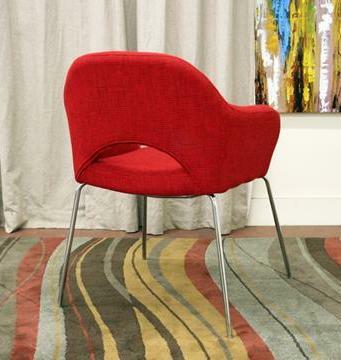 This versatile executive chair or accent chair is made with sturdy steel legs, black non-marking feet, foam cushioning, and multi-hued red twill upholstery. 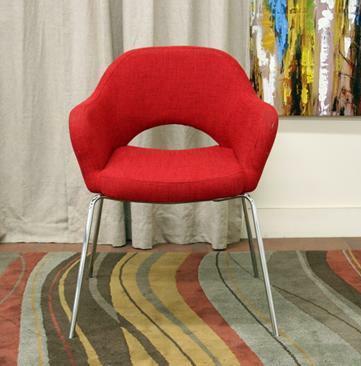 Raven arm chair is an ideal piece for any space.